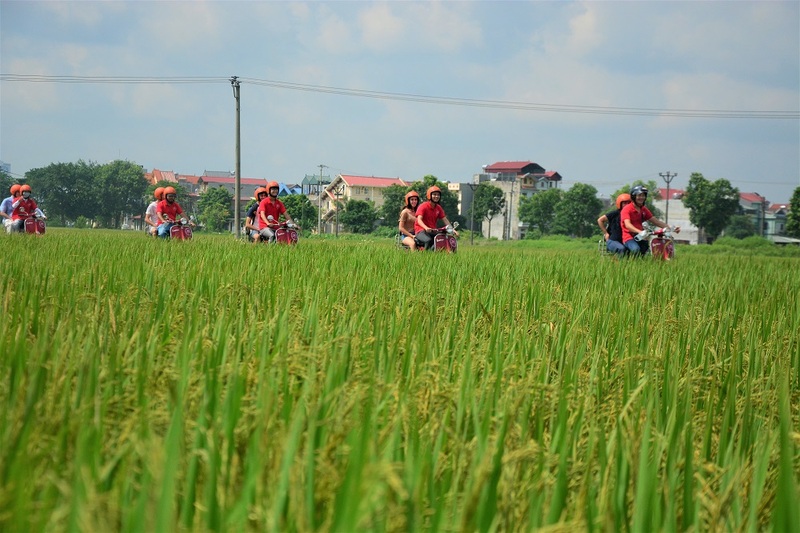 The exciting ride on this tour will take you straight to the countryside of Hue, far away from the hustle and bustle of the city. Where you will enjoy the picturesque scenery and peaceful atmosphere of the countryside. At first we’ll call in to a friendly family to learn more about life of a Vietnamese farmer daily life and have chance to help them do some farm work. After the tea and local sweet with the family we move on the tranquil Dam Chuon lagoon. This is a vast lagoon where residents live on fishing, we get on a small sampan for a cruise to the beauty of the nature. This is an idea place for photo lover to harvest the stunning photo especially in the morning and at sunset. Try our luck with the fishing opportunity in the lagoon then we will be rewarded with an exotic fresh seafood lunch in a floating restaurant before heading back to Hue.